I have absolutely fallen in love with Cartagena. This is one of the most beautiful, alive, and just all around vibrant cities I've ever visited. Perhaps my favorite part of Cartagena was the neighborhood of Getsemaní. It lies just outside the walls of the Old City and it's pure magic. It's covered with artists beautifying the walls, boutiques, shops, and new restaurants in old restored buildings. At night la Plaza Trinidad is the place to be for grabbing a drink on the streets with friends, people watching and street performers. Don't miss it! Just a 45 minute boat ride out of Cartagena lie the Rosario Islands. There are 27 to choose from and none will disappoint. It's worth a day trip or a night or two. What made our trip was our stay at one of my favorite Airbnb listings (Les Lezards BnB) ever. Marcus and Hayzar were absolute gems of humans and the place is stunning. We stayed in the Africa room but they have many to choose from and the breakfast is so delicious. Get the Lulo Juice! We didn't want to leave! 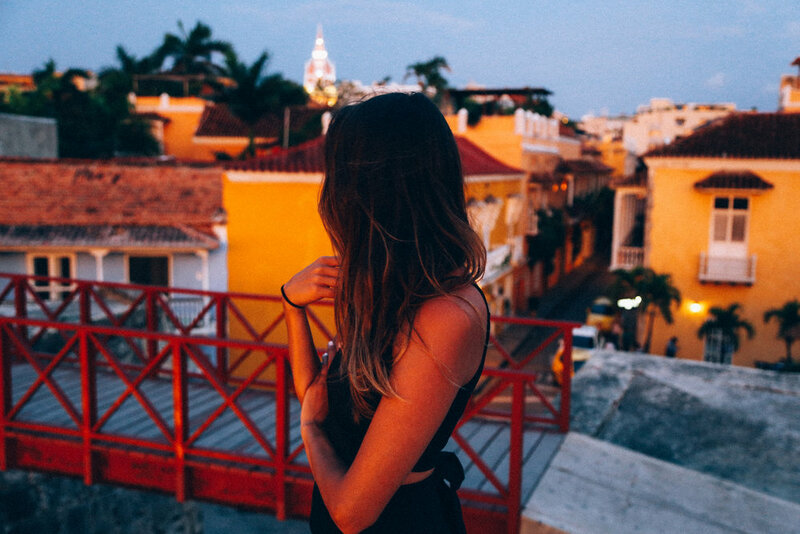 One day, Cartagena, I will return. Here's my Cartagena Airbnb Wishlist.